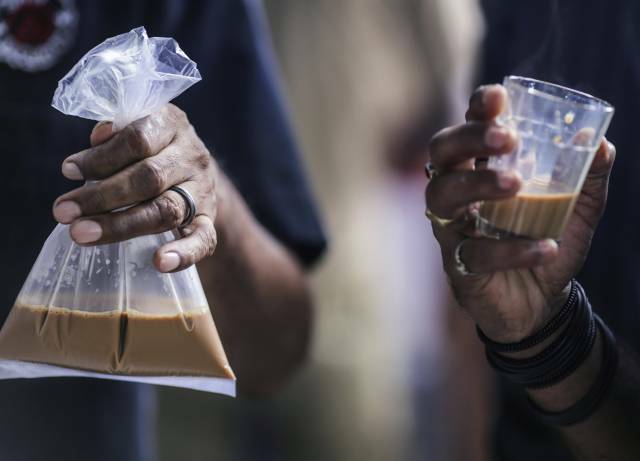 Tea on the go, is a simple product devised to help tea delivery boys in India carry the hot liquid safely and cheaply, to their consumers. 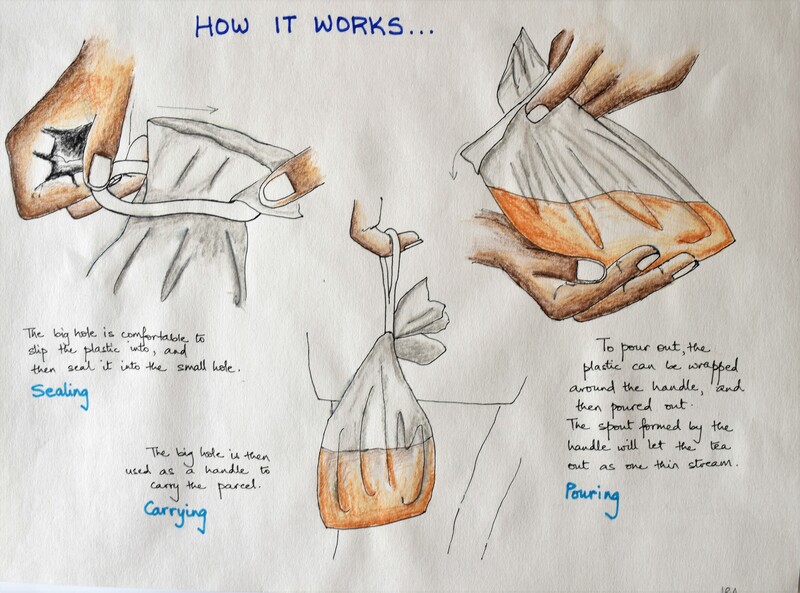 This project attempted to understand how the tea delivery system works, and recpgnise the lack of funds to bring in a "designer product". TeaGo is a simple solution that seemlessly integrates into the economy, and can be extended to further food and liquid carrying situations. ‍The begining of this project was a day spent observing chai wallas in Ahmedabad. They offer a quick and inexpensive refresher to people of all walks of life who stop by for a small hot cup of chai, and a few minutes of conversation. 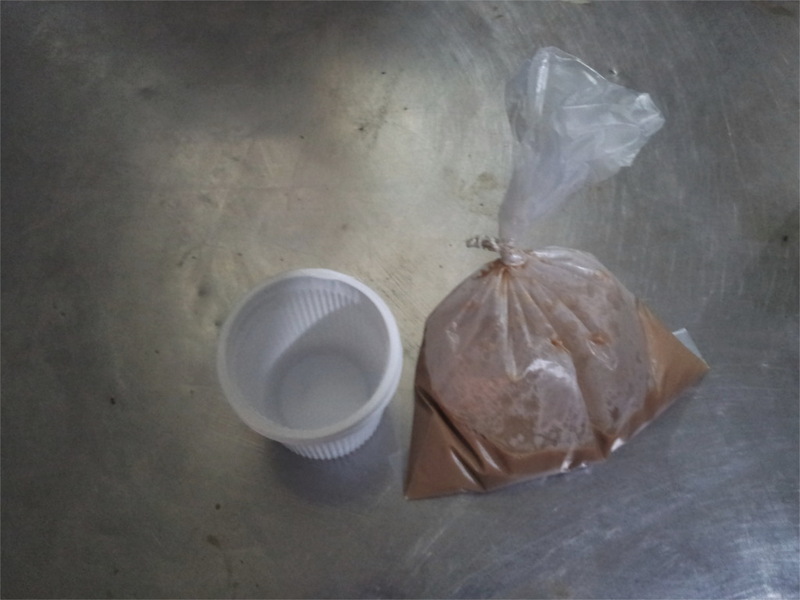 Over the years, Chaiwallas have also started home-delivery of chai, in small plastic bags. These plastic bags are carried in hand, or in another plastic bag to the customer. The customer then has to open the knot up by hand and pour out the hot liquid into many such small cups for consumption. This process of packing, carrying and serving, has a lot of points of discomfort and potential injury, and therefore this is what I decided to work on. One crucial point ofcourse remains that the chai should remain as inexpensive as it is at the moment, and therefore a bigger system or better packing materials would only drive away customers for the Chaiwalla.